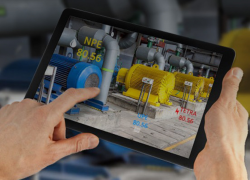 At Minds + Machines Europe in Berlin, Germany this week, GE unveiled new solutions that are purpose-built for industrial assets, environments and operations. This came at the same time as Jeffrey Immelt stepped down as chairman and chief executive of General Electric Co., says Jeremy Cowan. Smart devices have arguably made consumers’ lives easier, and as they become more affordable, more of us are investing in the IoT. However, all too often, these smart devices are being manufactured with affordability in mind and security as an afterthought. It’s a myth to believe that the Internet is a free and democratic medium, where anonymous, private information exchange is the norm. Today, says Christian Bennefeld CEO of eBlocker, data is the new fuel. Billion Electric, a global telecommunication technology and IoT solutions provider, has introduced an integration between LoRa smart meters and its 4G/LTE Outdoor SIM Embedded VPN Router – BiPAC 4700ZU. 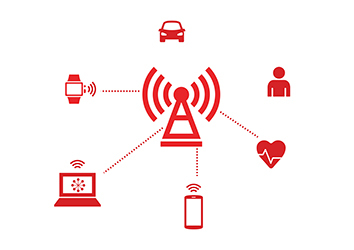 The connected object market today shows a real complementarity between the OTT and Telco players in terms of their current positionings, aligned with their core business. In the longer term, however, IDATE anticipates a fiercer competition, around the platforms and services which are set to be the next source of revenue. VTT Technical Research Centre of Finland and the University of Oulu are building a globally unique technology and pilot environment, in which businesses and researchers can together develop new industrial internet solutions. Global information and communications technology (ICT) solutions provider, Huawei opened its 13th Global Analyst Summit in Shenzhen today. The event brings together more than 500 analysts, journalists and business leaders from the telecom, internet, finance, and other industries. In our quest to connect everything to the Internet, we are entering a new phase of incorporating machine learning and big data analytics to glean insights and improve decision making. “The internet of everything is going to change the world’ said Phil Smith, chief executive of Cisco UK and Ireland in June this year in an interview with The Daily Telegraph. But what does that really mean?